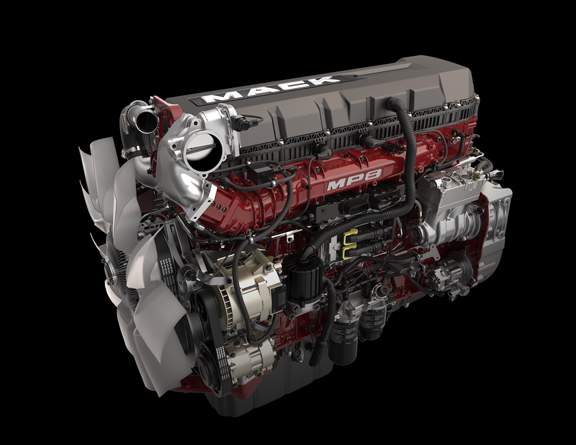 The MP®8HE combines the proven performance of our MP®8 engine with the high efficiency of Energy Recovery Technology to capture lost energy, convert it to torque and reduce fuel consumption. 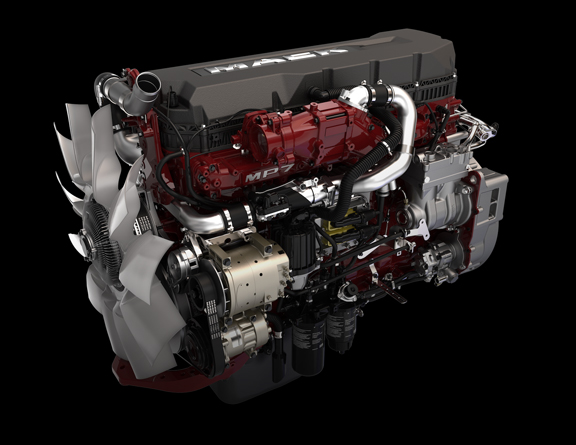 The Mack HE+ Package combines an MP®8HE engine and a host of aerodynamic and fuel economy features to minimize drag, maximize profit, and increase fuel efficiency up to 9.5%*. Energy Recovery Technology (ERT) captures heat that would otherwise be lost, converts it to mechanical energy, and delivers it back to the crankshaft in the form of torque. This process enables the engine to operate at 1,000-1,100 RPM, saving fuel without sacrificing performance. 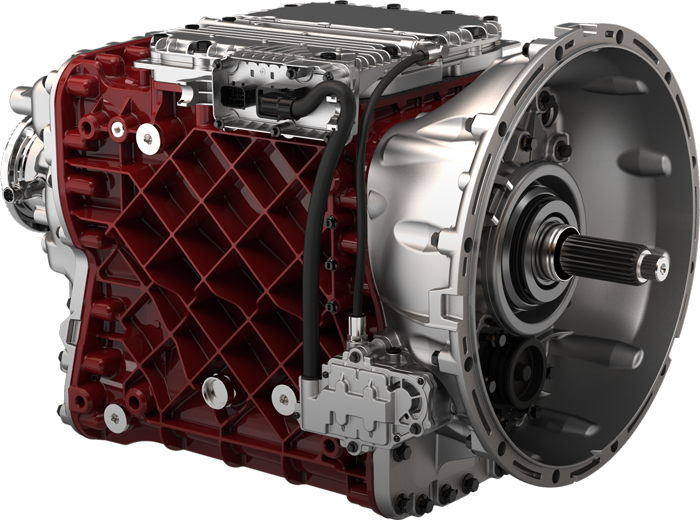 Mack’s innovative wave piston design delivers 2% improvement in fuel economy and 90% reduction in soot. The waves in the piston bowl redirect flames in the combustion chamber to utilize all available oxygen for a cleaner and more complete burn than standard diesel pistons. This direct injection system delivers ultra-precise control over fuel injection pressure, timing and volume. The result is more power and efficiency, with less engine noise. Save fuel, gain power and lower emissions. MP®8HE delivers consistent power and torque across a wide operating range that can be tuned to your needs for the right mix of power and high fuel efficiency. 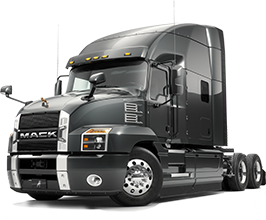 Mack’s improved exhaust aftertreatment system (EATS) is 17lbs lighter and takes up less space, which saves you fuel and money while improving ﬂexibility. We take pride in being homegrown. All Mack engines, transmissions and drivelines are assembled in Hagerstown, MD USA. If idle time is greater than 30%, use the next lower drain interval. The Mack® Pinnacle is a versatile workhorse for all your on-road/off-road jobs. 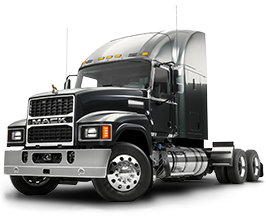 It delivers power, fuel economy and maneuverability throughout the day and across your diverse business needs. Born of the American spirit, the new Mack Anthem™ comes standard with a bold design that delivers serious aerodynamics and a new interior that keeps drivers comfortable and productive.